Studying a conceptual framework for Islamic architecture is vital. That is so because erecting buildings is a very important enterprise in Islam. It accounts for establishing a physical locus of the daily individual, family and social activities of Muslims. It follows that the built environment, as both a concept and sensory reality, is indispensable for the fulfillment of the divine purpose on earth. However, just like any other interest of Muslims, erecting buildings likewise must be inspired by the heavenly message of Islam and its perpetual and dynamic spirit. The functions of Muslim buildings have got to mirror the interests and engagements of Muslims as God’s trustees on earth. Indeed, there must always exist a high level of harmony between the two. Whenever a conflict or dichotomy between them occurs, that is, whenever the purpose and functions of Muslim buildings become incompatible with the values and standards of Islam which Muslims are required to exemplify in their deeds, words and thoughts, that scenario spells an imminent end to the phenomenon of genuine Islamic architecture. This paper describes the Islamic notion of God as the sole Creator and some of its implications for properly perceiving the meaning and significance of Islamic architecture. The subject matter stands for an important segment of a conceptual framework for Islamic architecture which renders Islamic architecture such a unique subject and much different from other architectural expressions. Thus, for understanding the true character of authentic Islamic architecture, understanding its conceptual framework will always be essential. That framework is founded upon the tawhidic (God’s Oneness and Uniqueness) corpus of teachings, values and principles which are both explicitly and implicitly derived from the Qur’an and the Prophet’s Sunnah as divine and eternal sources of Islam and Islamic civilization. In view of that, it stands to reason that the first and most original sources of the theory and philosophy of Islamic architecture, in its capacity as a physical locus, microcosm and a soul of Islamic civilization, are the Qur’an and the Prophet’s Sunnah. Thus, the matter ought to be appropriately addressed in Muslim architectural education and its curricula. It should be similarly addressed in the process of encouraging, facilitating and supervising a Muslim quality research culture on the history, theory and application of Islamic architecture as well, aiming to enrich libraries and bookshops with genuine references on Islamic architecture and making the prospect of efficiently teaching and practicing it a viable proposition. The current situation, however, leaves a lot to be desired. There is extremely little in the mainstream architectural education of Muslims that rely upon the content of the Qur’an and Sunnah for constructing a theoretical base for Islamic architecture and to serve as the primary sources of adequately perceiving Islamic architecture, as the causes of inspiration and catalysts for creativity, and as the basis for Muslim architects’ ethical orientation and strength which will make them dedicated to the highest standards of architectural professionalism, integrity and competence. 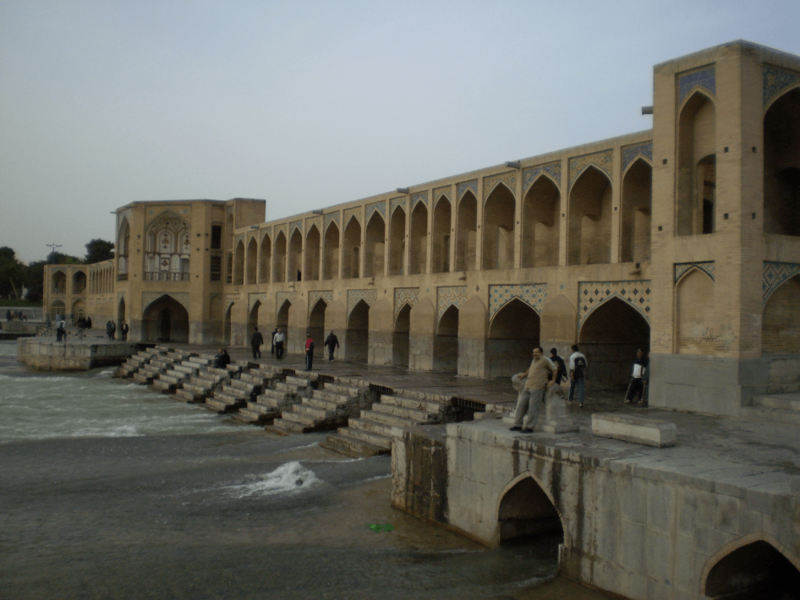 Most of the calls for integrating the Islamic spirituality into the infinite and multi-tiered realm of Islamic architecture come from scholars and even professionals whose immediate intellectual background is not necessarily architecture, such as Professor Isma’il al-Faruqi, Professor Seyyed Hossein Nasr, and others. It is at the same time encouraging that of late, there have been more and more voices from both the professional architects and academics that kept joining the growing chorus calling for a more serious and authentic amalgamation of the Islamic spirituality with Islamic architecture. Even more encouraging is the fact that those voices come from a number of Muslim countries, representing diverse institutions, establishments and groups. This paper is a manifestation of that growing phenomenon, as well as an attempt seeking to enhance the awareness, both of the professionals and general readership, as to the importance of correctly conceptualizing the spiritual profundity of the theme of Islamic architecture by shedding some light on the idea of God as the only Creator and its implications for the former. One of the most compelling messages of the Qur’an concerning building is that God is the only Creator; the rest is His creation unable to match His power, competence and creativity. For a creation to be able to create the way God does, that would mean an alteration in the existential hierarchy of titles and grades, which is inconceivable. Just as the Creator cannot become creation, similarly a creation cannot become a creator. Five major beautiful names and attributes of God the Creator are given to imply the sublimity, significance and scale of what they stand for. Those five names and attributes are al-Khaliq (the Creator), al-Bari’ (the Maker), al-Musawwir (the Fashioner), al-Fatir (the Bringer into Existence), al-Badi’ (the Originator). Five different expressions are given for the composite act as well as process of creation in order to expound to the potential aspirants to the rank, especially from among mankind, that that particular jurisdiction belongs to God alone, and that each and every act as well as aspect of creation, regardless of its size and significance, was dealt with directly by God and thus, via both its appearance and function, attests to the existence, authority and benevolence of its Creator. The name al-Khaliq appears eight times in the Qur’an with its derivatives al-Khallaq and Ahsan al-Khaliqin (the Best of Creators) appearing twice each, al-Bari’ three times, al-Musawwir once, al-Fatir six times, and al-Badi’ twice. The root words of these divine beautiful names and attributes are also widely used in different verb forms with regard to God the Creator. Besides, there are several other terms in the Qur’an, both nouns and verb forms, which also denote the splendid divine act of creating and creation and are used in relation to God the Creator, such as the verb dhara’a (to create and multiply) used both in past and present tense six times, bada’a (to begin or originate the creation) used eleven times both in past and present tense as well, the noun sun’ (the work or artistry) used once and the verb istana’a (to produce and prepare) also used once and which is a derivative of the former, and the verb atqana (to perfect) used once in its past tense. The three names al-Khaliq (the Creator), al-Bari’ (the Maker) and al-Musawwir (the Fashioner) are mentioned together, one after another, in Surah (Chapter) al-Hashr, verse 24: “He is Allah, the Creator, the Maker, the Fashioner; to Him belong the best names. Whatever is in the heavens and earth is exalting Him. And He is the Exalted in Might, the Wise” (al-Hashr, 24). When these three names are mentioned together, each of them conveys a specific meaning. Together, they represent the complete act of creation from deciding and determining what and how to create, to a decided thing or an object to receive a particular form and, as such, to begin its preordained existence – and God knows best. The three names manifest themselves in created things sequentially, the last of which is fashioning the form. “The attribute of creation (al-Khaliq) refers specifically to God’s determination of what He creates, so it comes first. The name al-Bari’ (the Maker) refers to the creative act of bringing about what God wills to create. Finally, the name al-Musawwir (the Fashioner) refers to giving each created thing its particular form. So, God decrees what he creates, brings it into existence, and specifies its particular, unique form” (al-Oadah, 2011). The name al-Fatir (the Bringer into Existence) implies the creation of the universe and everything in it, giving every living thing its particular character, objective and meaning (Al-Bayhaqi, 2004; al-Oadah, 2011). This connotes total harmony, equilibrium, balance and stability that pervade each and every aspect and component of the creation and their subtle relationships. It connotes, furthermore, the notion of unity in diversity, the unity of origins and spiritual purpose insofar as both the most insignificant and grandest features of the universe are concerned, and the diversity of their respective innate dispositions and existential missions and operations. It was due to this that in a Qur’anic verse, while referring to the creation of man using the verb fatara from which God’s holy name al-Fatir (the Bringer into Existence) is derived, God brings to light that Islamic monotheism and man’s constant inclining to truth constitute the pattern on which God has made mankind. And exactly in line with that pattern the innate nature of man called fitrah, which, too, is a derivative of the verb fatara (to bring into existence), has been fashioned. The human fitrah or nature is the result solely of the Creator’s divine will and choice meant for mankind. The Qur’an thus concludes that “…There is no altering (the laws of) Allah’s creation. That is the right religion, but most men know not” (al-Rum, 30). Everything has its own inborn nature different from other natures and identities. There are no two things, animate or inanimate, that are exactly alike. The name al-Badi’ (the Originator) means originating the creation without model or material, from absolute nothingness and after no pre-existing similitude. God does not need previous knowledge to think, to investigate and to figure things out. He invents the original of everything in the creation. There was nothing before Him, so He is unlike anything, and everything after Him is made by Him – unique, matchless, unequalled by anything else, and in no way similar to Him. Everything God creates is a wonder, a marvel, since He originated it from nothingness and after no pre-existing precedent. Like the original creations, all the continuously created things are different from one another (Bayrak, 2006). This is the most genuine and sublime form of creativity and artistry, hence in Arabic the word ibda’ which means creativity and originality. In addition, this could be a reason why when God on two occasions in the Qur’an declared that He is the Creator and Originator of the heavens and the earth, using in both instances His holy name al-Badi’, he in most categorical terms repudiated the idea of Him begetting a son. It is thus an Islamic tenet that there is nothing which is like Him (al-Shura, 11); nor is there anything that could be compared with Him (al-Ikhlas, 4). The quality of God’s Being is beyond the range of human comprehension or imagination. Attributing to God, or likening Him to anything from the realm of His creation is a blasphemous act (Asad, 1980; Ali, 1989). It can never and under no circumstances amount to a creative or artistic act of inventiveness and inspiration, or to an audacious exploit of pursuing and affirming the truth. As seen above, creating ex nihilo (from absolute nothingness) is both the right and power of God alone. Such a style of creation cannot be ascribed to humankind. Humans were and will remain forever short of enjoying a power of bringing into being anything without making use of the available raw materials and elements created for them in nature. Indeed, everything that humans invent, conceive, concoct and create, is only possible thanks to the unbounded bounties and munificence from God, which humans only discover, manipulate, process, use, and reuse in different ways most convenient and efficient for them and their terrestrial goals. Consequently, humankind’s civilized and cultural ‘creations’ are a relative thing. They are not really ‘creations’ but only the temporary possessions of humankind in their temporary custody. As such, humans neither create nor possess anything. The Qur’an declares this emphatic truth time and again, such as in the following verses: “To Allah belongs whatever is in the heavens and whatever is in the earth. Whether you show what is within yourselves or conceal it, Allah will bring you to account for it…” (al-Baqarah, 284). “Do you not know that Allah’s is the kingdom of the heavens and the earth, and that besides Allah you have no guardian or helper?” (al-Baqarah, 107). Everything around humans has been loaned to them so that they can carry out their duty of vicegerency in a responsible and unhindered manner. Their duty is no more than that. Even humans’ lives are not their own. Their lives belong to their Creator and Master, and, if needed, they must sacrifice their lives for their Master and His cause: “Indeed Allah has purchased from the believers their lives and their properties (in exchange) for paradise…” (al-Tawbah, 111). No sooner do humans come to this world than they set out displaying their inherent readiness to take from this world: to breathe, to eat and drink, to wear apparel, albeit without possessing anything, save their own self, to give away in return. Humans therefore, are born as insolvent consumers, as it were. Not only do they own nothing, but also they remain forever short of enjoying the power of bringing into being anything without making use of what is already there created for them in nature. Creating things, conditions and environments from nothingness is the right and authority of God alone and signifies authentic splendor, dominion and power to which God alone is entitled. By the same token, only God’s right and authority is to create objects, states and situations with no prior examples or models to follow or draw inspiration from. None of these however is either the right or capacity of man. The upshots of humankind’s myriad civilizational pursuits on earth therefore are never really their own possession and, as such, by no means could be solely utilized for returning the debt of creation and existence to God. Hence, people are given the title of servants or slaves and God alone is the Lord or Master. There can never be any alterations whatsoever in titles: the servant will remain forever the servant, and the Lord will remain forever the only Lord, irrespective of any human intervention that may transpire on any plane of existence (al-Faruqi, 1995; Nasr, 1987). It goes without saying, therefore, that being prudent, modest and grateful when dealing with God’s gifts, as well as when dealing with one’s own accomplishments, are of the virtues most appreciated in humans. It likewise follows that the legitimacy of human ‘creations’ is based only on the strengthening of people’s legitimate relationships with their Lord and with the rest of His creation. The latter under all circumstances conditions and guides the former. Moreover, God created humans as the most beautiful creatures on earth, in the best of moulds, and gave them the power of reasoning and insight (al-Tin, 4). He created humans as His vicegerents on earth, never to be forsaken by God’s words of guidance, lest they lose their way, rebel against the will and plan of their Lord, and gradually become puffed up with egotism, self-exaltation and innumerable superstitions pertaining to their own existence and existence taken as a whole (al-Baqarah, 30-39). When these exceptional qualities of humans are paired with their submission to the Creator, Lord and Cherisher of the worlds, they confidently set out proving their worth, elevating their status over that of the angels in the process. Conversely, no sooner do they start mishandling and abusing the same qualities and gifts, than they start drifting away from the plane of truth, debasing themselves to a status lower than that of animals. On that note, in addition, the Prophet (pbuh) declared that God created Adam, the father of humankind, in His own image (Sahih Muslim, Hadith No. 6809). In other words, God bestowed Adam with life, knowledge, and the power of hearing, seeing and understanding, but Adam’s features are different from those of God. God has life, knowledge and power of understanding, which has been bestowed upon Adam as well, but there is no comparison between the Creator and the created thing (Taqi-ud-Din & Muhsin, 1998). This truth by extension applies to the whole of mankind, the children of Adam. Hence, God’s names and attributes, including those pertaining to creation, manifest themselves in human beings. People make, build and shape many beautiful and useful objects and things, manifesting thereby certain divine attributes in themselves and in those creative and consequential actions of theirs. However, most people over and over again get carried away and misjudge. The artist says that he ‘creates’ beauty. The engineer ‘invents’ a flying machine. An architect ‘designs’ and ‘creates’ a building. They think that it is they themselves who do this. They even forget the other people who might claim that they ‘created’ the paint and the brush, building materials and the whole of building technology and engineering, and the sciences of geometry, physics and mathematics, without whose ‘creation’ their ‘creation’ could not have been possible. They forget about the sources that produced the materials for that ‘creation’. They disregard their vulnerability and complete reliance on other human and physical factors. They sometimes even close the eyes to their humanness. Who created the mind, the eyes and the hands that put all that they deal with together? That which people make depends on many conditions, materials and assistants. Whereas God’s creative act does not depend on any model, material, time, tool, aide or anything else. When He creates, He says Kun ‘Be!’ and a whole universe becomes (Bayrak, 2006). It is thus often asked if it is permissible to say that humans are ‘creators’ on account of them creating things, ideas and objects (al-Oadah, 2011). The answer is that it is permissible if by creation it is meant working on something, crafting it, giving it shape, processing it, assembling it, using and reusing it, or some other meaning that is suitable for human beings to ascribe to themselves and their creative and meaningful functioning as God’s vicegerents on earth, reflecting their actual existential state with all its strength as well as limitations. Ascribing the terms ‘creation’ and ‘creators’ to human beings should thus always be conditional and metaphorical, not authentic or unqualified. A hint at this restricted authorization is presented via God’s description of His Holy Self as “the best of the creators” (ahsan al-khaliqin). This description appears twice in the Qur’an. Unquestionably, a creation should never claim, or aspire, to be a bona fide creator. Such is an aberrant view and goes against the pure and natural order of things. 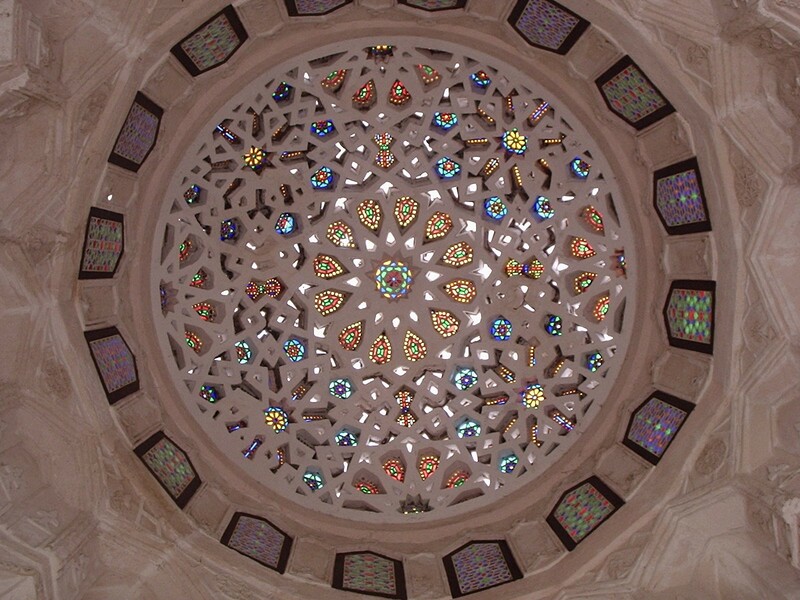 The above somewhat philosophical accounts had more than a few explicit as well as implicit implications for conceptualizing Islamic architecture and its identity. Those implications were both conceptual and practical. They, to a large extent, helped shaping the perceptions of Muslims and non-Muslims alike towards the realm of Islamic architecture. It goes without saying that the lack, or misrepresentation, of the same, contributed — and still does — towards generating, cementing and spreading a great many misconceptions and fallacies about Islamic architecture. To begin with, whenever an architect embarks on designing an edifice, he/she carves out the space needed for the project. The Muslim architect, worthy of his/her profession, will approach space with reverence, not arrogance, as it is God’s physical realm. “If it (space) must be cut for man to have a dwelling, such would have to be done in humility and with ease, harboring no might, no self-assertion and no defiance” (al-Faruqi, 1981). Muslim architects will therefore, always strive to exhibit through creativity and skills that the buildings designed by them interact with space, flowing into and becoming part of general space, instead of separating from it. Buildings remain connected with outside space by the open inner court and windows. Toward the same end, the edge of an Islamic building is often crenulated, the skyline sometimes multiplied, and the vertical edges recessed or protruded with broken surfaces designed to lessen the impact of the cut-off in space (al-Faruqi, 1981; Burckhardt 1976). Neither Muslim architects or structural engineers nor owners or users will regard edifices as space(s) appropriated exclusively for humans. Rather, the appropriated space will be viewed as something temporarily loaned to them, so that as soon as they return to their Creator, nobody but one’s own self will be held accountable for what they did to the loan, how they handled it, and what they managed to achieve with it. It goes without saying, therefore, that in Islam, architecture — just like any other noble pursuit and craft taken up for the sake of pleasing God, the All-Powerful and All-Knowing Creator and Lord — is but a vehicle for accomplishing the mission of Islam, not a goal in itself. It is therefore a form of worship and those who practice it correctly will be rewarded accordingly. If this is the outlook that saturates the mentality of both builders and the built environment’s users, and if this is the spirit that dominates the built environment’s milieu, then creating buildings becomes not only a tolerable thing, but also a highly gratifying one. Thus, the chore of building mosques and houses in order that the shared and private needs of humans are satisfied is said to amount to an obligation (Abul Qassim, 1975). Indeed, this is that positive aspect of the building enterprise, standing on the diametrically opposed side of scores of negative ones, which kept Muslims repeatedly busy throughout their long and colorful history as peerless builders, resulting in the creation of numerous architectural masterpieces which still dot many a landscape from Spain to Indonesia. It was because of this positive aspect of the art of building, furthermore, that even Prophet Muhammad (pbuh) never hesitated to build or encourage others to do the same, whenever building was a necessity, for some private or collective benefits. Furthermore, the Prophet (pbuh) at times even took the trouble to personally participate in certain building activities. Islamic architecture is thus the type of architecture whose functions and, to a lesser extent, form, are inspired primarily by Islam (Nasr, 1987). Islamic architecture is a framework for the implementation of Islam. It facilitates, fosters and stimulates the ‘ibadah (worship) activities of Muslims, which, in turn, account for every moment of their earthly lives. Islamic architecture only can come into existence under the aegis of the Islamic understanding of God, man, nature, life, death and the Hereafter. Thus, Islamic architecture would be the facilities and, at the same time, a physical locus of the actualization of the Islamic message. Practically, Islamic architecture represents the religion of Islam that has been translated onto reality at the hands of Muslims. It also represents the identity of Islamic culture and civilization. Central to Islamic architecture is function with all of its dimensions: corporeal, cerebral and spiritual. The form divorced from function is inconsequential (al-Hathloul, 1996). Islamic architecture signifies a process where all the phases and aspects are equally important. It is almost impossible to identify a phase or an aspect in that process and consider it more important than the others. The Islamic architecture process starts with having a proper understanding and vision which leads to making a right intention. It continues with the planning, designing and building stages, and ends with attaining the net results and how people make use of and benefit from them. Islamic architecture is a fine blend of all these factors which are interwoven with the treads of the belief system, principles, teachings and values of Islam. What makes an architecture “Islamic” is its metaphysical and spiritual dimensions, rather than its sheer physical and observable ones (Omer, 2009). Furthermore, in view of the fact that the Islamic building enterprise bore a spiritual impression and was one of the means for espousing the cause of Islam, it did not really matter in numerous instances in the history of Islamic civilization who the builders, planners and developers of many a project were. What actually mattered was whether the ultimate role and utility of such projects justified the time, effort and capital spent on them, as well as what their impact was on the existing state of the community and on its future progress. Although architecture as a profession was extremely important and honored, yet architects, most of the time, were not excessively venerated, neither by their patrons nor by the public. Architecture was seen just as one of many important professions needed for creating, sustaining and taking pleasure in civilization. Architects, just as many other professionals representing numerous specialist fields, were regarded as very important, yet crucial, protagonists in the ultimate scheme of things. It was for this reason that on most Islamic buildings no names of the builders were inscribed; if there was anything imprinted on them then it was the date of their commencement or completion, or the name of the ruler or the patron. Except in cases of questionable undertakings, rarely were the architects, planners or developers concerned about promoting their name or status, their position in history, what some short-sighted people would say about their work, how some members of the ruling elite would react during and after construction, and so forth. This indicates that buildings in Islam are erected to serve the only Creator and Lord of the universe (Bianca, 2000; Burckhardt, 1976; Nasr, 1987; al-Faruqi, 1981). Everything else is inferior to this paradigm. Muslim architects and structural engineers turned down a prospect of drawing attention to themselves, their careers and their works of art. They feared that such an act would somewhat impinge on and, in the worst case scenario, debilitate the promotion of the idea of total spirituality underlining the total identity of Islamic architecture. Nothing was to stand between God and a building’s users and observers. Through various channels and means including the planning and organization of spaces in buildings, the handling of their forms, their envisioned functions and the methods and styles of ornamentation and beautification, Muslim architects and structural engineers go all-out to put on view the signs of the Creator’s presence, infinite authority and greatness, on the one hand, and to display the signs of humankind’s fragility, dependence and smallness, on the other. This way, every building is transformed into a kind of house of God, baytullah, so to speak, thus translating onto reality the implications of the Prophet’s hadith (tradition) that the earth has been made pure for the Prophet (pbuh) and his followers, and hence serve as a place of worship, i.e., as a mosque (masjid) (Sahih al-Bukhari, Hadith No. 323). This way, additionally, the Muslim buildings in time become converted into instruments of worship, not only because of their dignified functions, but also because of their plans, organization of spaces, forms, decoration and so on. Herein lies a secret why not many planners, architects and structural engineers are known, never mind celebrated, in Islamic civilization, a civilization that dominated the world scene for more than a thousand years and whose signature mark was architecture. Numerous masterpieces and icons of Islamic architecture dotted the part of the world that stretches from Spain to Indonesia, yet extremely little is known about the names, private and professional lives and legacies of the people most directly responsible for fashioning such a world of wonders. Everyone from students and casual observers to researchers and authors of Islamic architecture seems to be at ease with this reality. Such is the spiritual appeal of Islamic architecture that no sooner does a person start sincerely studying or using it than it becomes overwhelmingly clear to him or her that the chief concern in Islamic architecture is about architecture as a lifestyle deeply rooted in absolute truths, not about architects as individuals with particularized ideas and programs that may or may not be in consonance with the former. By definition, true Muslim architects work for some higher life ideals and purposes, and, fittingly, their rewards and appreciation come from higher ontological sources carrying a different weight and substance. Parenthetically, owing to their strong relationship with the heavens, Muslim built environment professionals were able to generate rarely paralleled marvels and sensations on the earth. The opposite, that is to say, failing to establish and maintain a sound relationship with the heavens, renders humankind “trapped” on earth and powerless to rise above its physical constraints and serve an elevated order of experiences and relationships. This account, in addition, explains the raison d’etre for the poor state of contemporary Muslim architecture. It is so because contemporary Muslim architecture, unfortunately, is mainly about architects and attempts to emulate particular precast systems and styles, rather than about architecture as a total and organic phenomenon or a paradigm that serves life and its noble goals; it is about architecture as an end in itself, rather than a means or a carrier of ultimate meanings, values and standards. In other words, the raison d’etre for the deplorable state of contemporary Muslim architecture is a ubiquitous culture of exalting the relative and transient at the expanse of the absolute and infinite, both at the epistemological and professional planes. It is for this reason, definitely, that Koca Mimar Sinan (d. 1588), the chief architect of the Ottoman golden age serving under three sultans and for many one of the greatest architects in Islamic civilization, said that architecture is the most difficult profession, and he who would practice it correctly and justly must, above all things, be pious (Necipoglu, 2006). Sinan is also reported to have said, in all likelihood lest he might become carried away by his achievements and the status he had acquired: “Praised and thanks and surpassed glory upon that matchless Creator and all-powerful God – may He be honoured and glorified – Who, in accord with the noble verse of the Qur’an, ‘And (have We not) built for you the seven firmaments?,’ without architect or builder and without column or pier made apparent and manifest above the earth’s pure face the green vault and spreading canopy of the heavens. And kneading water and clay, (He) created humankind and, by means of a cloak of excellence, rendered it more distinguished and superior than (His) other creations” (Necipoglu, 2006). With these words, Sinan started his autobiography entitled “Choice gift of the architect” which is one of his five sixteenth-century texts. It appears as though Sinan, particularly in his second proclamation, intended to pass on firstly to himself and then to everyone else involved in fashioning the built environment that there is only one real Creator in the whole of existence, that is, God, as well as that whatever humans build or create appear simply as naught when juxtaposed with the greatness and magnitude of any segment of God’s creation. So insignificant are humankind’s creations that they do not even merit to be called creations. There is only one Creator; the rest is His creation. Under no circumstances can a created thing grow to be a creator, in the actual sense of the word, as God questions in the Qur’an: “Then is He who creates like one who does not create?” (al-Nahl, 17). Due to the reality that the built environment in Islam serves as both a field and instrument of worship, when Mawlay Idris II decided to build the city of Fez in northern Africa (Morocco), having sketched the ground plan of the city and before construction got underway, he recited the following prayer: “O my Lord! You know that I do not intend by building this city to gain pride or to show off; nor do I intend hypocrisy, or reputation, or arrogance. But I want You to be worshipped in it, Your laws, limits and the principles of Your Qur’an and the guidance of Your Prophet to be upheld in it, as long as this world exists. Almighty, help its dwellers to do righteousness and guide them to fulfill that. Almighty, prevent them from the evil of their enemies, bestow Your bounties upon them and protect them from the sword of evil. You are able to do all things” (Moustapha, 1986). Out of humbleness and zeal to recognize God Almighty as the only Creator, Originator and Fashioner, the Muslim architects would try as much as possible to so camouflage their work that it, when all is said and done, suggests a divine and natural effect rather than the work of humans. When viewing a work of Islamic art, the preoccupation of the beholder will always be drawn to the workmanship and intricacy of patterns to which the material has been subjected rather than to the substance itself. Thus, devout humbleness, which is a major trait of a Muslim’s character, has been effectively extended to the domain of the built environment as well because the same character stands at the core of the Islamic built environment throughout the process of its conception, formation and consequent completion. Even though the Islamic built environment is the product of humans and has been fashioned for some of humankind’s intents, in no way are the ingredients and factors that dictate the Islamic built environment’s mood related to the contemptible qualities of humans and this worldly life (al-Faruqi, 1985). They are all neutralized by the demands of a higher order of meaning and experience, which Islamic buildings effortlessly exude to their users and attentive observers. Figure 2: The Selimiye Mosque in Edirne, Turkey. The Mosque is one of Koca Mimar Sinan’s greatest masterpieces. 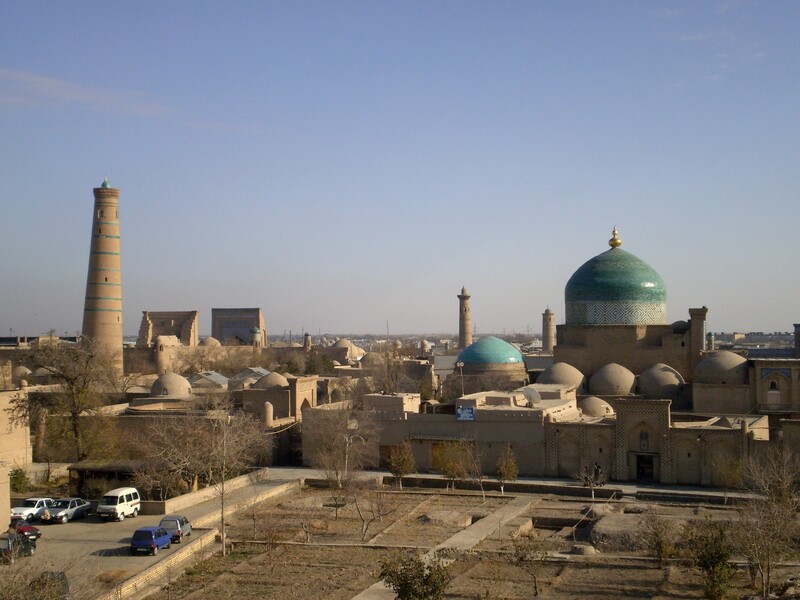 Figure 3: The skyline of the city of Khiva, Uzbekistan. 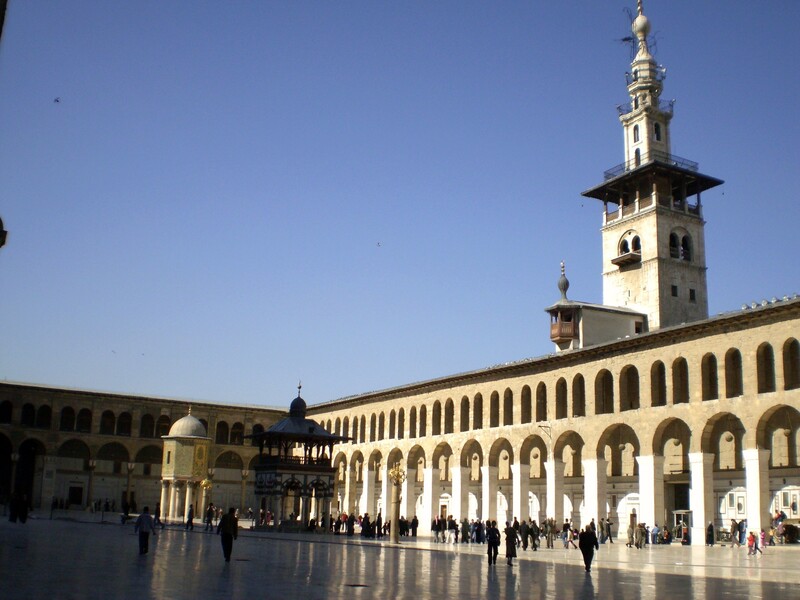 Figure 4: The courtyard of the Great Umayyad Mosque in Damascus, Syria. At the site of the Mosque, there was a temple in both the Aramaean and Roman eras. The place was later converted into a Church dedicated to St John the Baptist in the Byzantine era. Following the arrival of Muslims, the Church was eventually adopted and modified as a mosque. 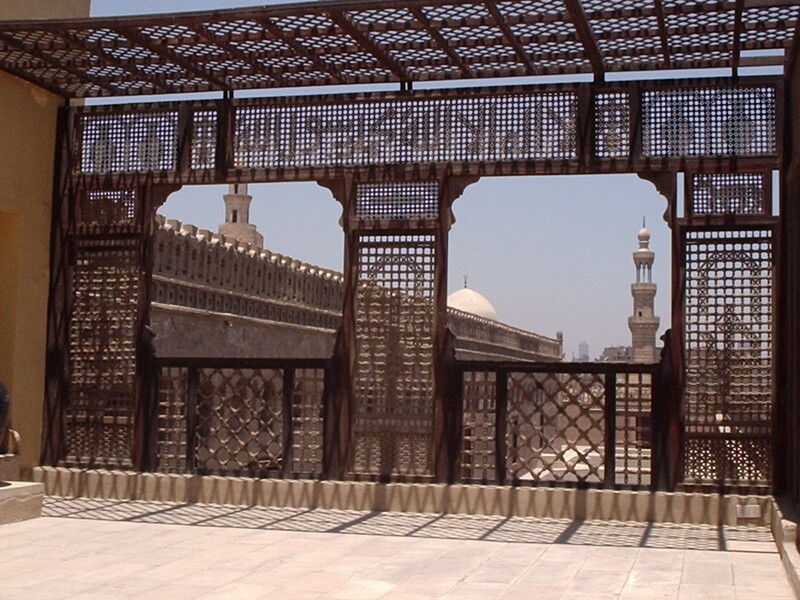 Figure 5: View of the Mosque of Ahmad b. Tulun in Cairo, Egypt, through a screen on the roof of a nearby Mamluki house. 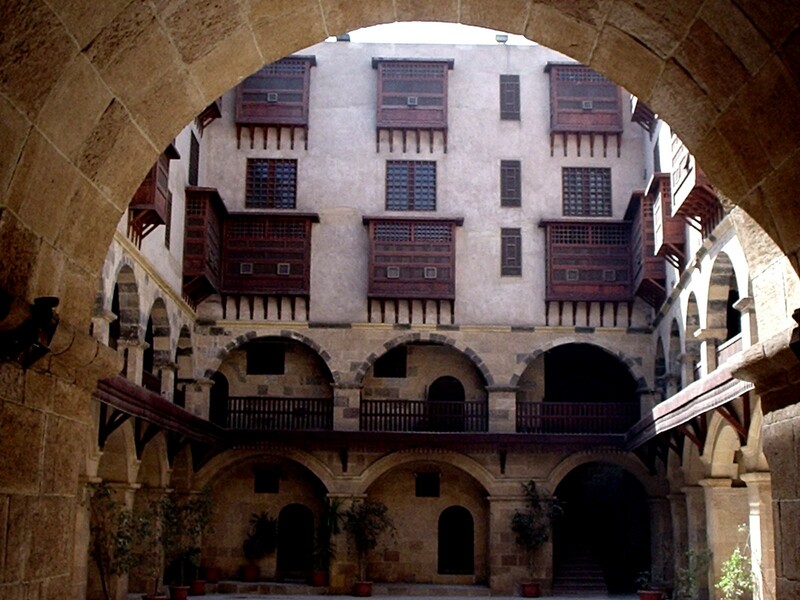 Figure 6: Al-Kekhia Caravanserai in Cairo, Egypt. The interplay of the private and public domains in the building is instantly recognizable. Subtle symmetry and order dominate the subject of Islamic decorative or applied arts, whose motif vocabulary is, in turn, dominated by calligraphy and the arabesque, or infinite pattern. The subject matter of the calligraphy content is the themes from the Noble Qur’an, the Prophet’s declarations, and some other virtuous elements regularly tied to poets, sages, scholars, and so on. Calligraphy is astonishingly rich in style and modes, and it combines the greatest geometrical strictness with the most melodious rhythm (Burckhardt, 1976; Afif Bahnassi, www.isesco.org.ma, accessed November 7, 2013). Moreover, besides the art of letters, calligraphy designs have involved a wide variety of other motifs as well. Geometric figures, non-geometric abstract shapes, elements and marks derived from letters and word shapes, and stylized and denaturalized shapes from nature are all commonly found in the calligraphic designs of Islamic art (al-Faruqi, 1985). The most prominent subject matter dominating the motif vocabulary of arabesque, on the other hand, is abstract shapes (geometric figures) and heavily stylized and denaturalized figures from nature, ranging from flora, fauna and lifeless objects to — at a much lower scale — human beings. The reason for this is that the qualities of God, the most Beautiful, Whose immeasurable effects permeate and sustain all things, and to Whom all aesthetic expressions endeavored by humankind ought to show the way, are beyond human comprehension and description. The use of revealed and other spiritually loaded letters and words to create a beautiful pattern or design, as well as the use of intricate abstract patterns having no beginning and no end, which give an impression of infinity, are therefore the best way to express in art the doctrine of Islamic monotheism (al-Faruqi, 1985). The calligraphic messages engraved on walls, ceilings and pillar panels are never selected in a haphazard manner. Rather, they are always carefully selected in order that the purposes of buildings and their decoration schemes, as well as the interests of the patrons of buildings, are duly served. Hence, in almost all mosques across the Muslim lands, for example, decorative calligraphic messages affirm and remind of the nature, supremacy and glory of God the Creator and His infinite attributes and actions. They also affirm and remind people of the character of the life on earth, their position on earth, and what kind of relationship ought to exist between a person and their Lord, parents, family members, other people, and the whole of nature. A good number of the Qur’anic verses, perceived as vital for the comprehension of the above-mentioned subjects, are found to be repetitive in most mosques. Consequently, upon entering a mosque that has been well executed, visitors are bound to find themselves transported into a spiritually pulsating atmosphere unrivalled anywhere outside. In the interior milieu, with a fervent desire and minimum effort, one can feel how great and absolute God is, and how insignificant and vulnerable, on the other hand, they are; how consequential the subduing of this world with all its passing whims for the benefits of the hereafter is, and how inconsequential and detrimental, on the other hand, bartering the latter for the benefit of the former is; and how simple and manifest the true guidance of God is, and how absurd and thorny all manifestations of falsehood and error, on the other hand, are. Once inside a building of this kind, a servant of God finds their sixth sense suddenly awaken and stimulated, resulting in the whole being aching for a thought, or word, or an act of service and worship to the Almighty, the source of all beauty and good. Hence, it goes without saying that the substance of Islamic decoration aims at declaring a big ‘no’ to the corporeality of existence and to its potentially hazardous attractions, and a big ‘yes’ to that which refreshes and rejuvenates the soul which incessantly yearns for the spirit of divinity the soul feeds on before finally returning to it. However, given that the components of the same corporeal reality have been employed for the production of the built environment, the ultimate appearance of the latter has to be delicately transfigured and denaturalized in order that the refined requirements of Islamic aesthetics are duly met. It is feared that without recourse to both transfiguration and denaturalization in the Islamic built environment, the spiritual purpose of erecting buildings might be harder to attain. Thus, the role of Islamic decoration is a principal and essential one, not a secondary or an auxiliary one. Decoration stands at the heart of the identity of Islamic architecture. Islamic calligraphy promotes and invites to the absolute truth. It is inspirational and instructive, as it in most cases accounts for a line of divine revelation. One may thus conclude that through Islamic calligraphy, God the Creator constantly speaks to humankind the creation. One can have an erratic relationship with the Qur’an, but if the buildings which serve as both the frame and ground for one’s diverse life activities are adorned with many key Qur’anic messages, one then cannot escape from the constant presence and powerful spirit of the Qur’an, thus being always reminded of the shortcomings in their relationship with the Noble Book and its normative teachings. It follows that revelation and the total Muslim reality are inseparable. Hypothetically speaking, Muslims can become completely detached from the sway of divine revelation only if they disengage themselves from all the spheres of their built environment, which, nonetheless, is an impossible prospect. In other words, one of the main objectives of Islamic calligraphy is to make divine revelation the most dominant factor in the lives of Muslims – consciously or otherwise – inspiring and guiding them in everything they do. The messages that Islamic calligraphy normally contain are bent on signaling, reminding and, if necessary, shaking up the spiritual lethargy of the users of the buildings which are adorned with Islamic calligraphy. Its aesthetic appeal is not the only constitutive element of a building, nor is it an end in itself. Rather, the aesthetic appeal of Islamic calligraphy could be seen as a threshold from where an intuitive observer sets off for a deeper exploration of the inner value of the Islamic art of letters. Also, Islamic calligraphy’s instantaneous aesthetic appeal could be seen as an inducement or even a snare, so to speak, in order that the attention of a building’s users and visitors is somewhat ensured, thus paving the way for communicating the more profound meaning and significance calligraphic inscriptions entail. It is because of this that calligraphic inscriptions, be they Qur’anic verses, Prophet Muhammad’s hadiths or any other wise declarations, are never selected randomly. Rather, any examination of the calligraphy systems of Muslim buildings suggests that the choice was, in the main, very selective and accurate glorifying God the Creator and humbling man the creation. A few examples could be given here. We have already referred to Koca Mimar Sinan, the great architect of the Ottoman Golden Age, who made some inspirational statements about the spiritual aspect of architecture. Certainly, such statements though ascribed to Sinan, epitomize a culture and outlook of an epoch confined to a geographical zone. Owing to this mentality, therefore, some prominent mosques in Istanbul, including the Suleymaniye Mosque, one of the greatest architectural masterpieces of Sinan’s, feature several Qur’anic verses the messages of which had surely induced Sinan to make some of his famous statements, especially the one on the infinite power of God, the incomparable Creator, due to which both the heavens and earth have been created with neither architect nor mason, and neither pillar nor support. The verses are applied as part of the rich and diversified decoration of mosques. For instance, in the Suleymaniye Mosque, the following verse prominently adorns the core of the interior of the mosque’s central dome: “Indeed, Allah holds the heavens and the earth, lest they cease. And if they should cease, no one could hold them (in place) after Him” (Fatir, 41). The same verse is also found embellished in the core of the interior of the central domes of the following mosques in Istanbul namely Eminonu Yeni, Rustam Pasha and Sokullu Mehmet Pasha Mosques. 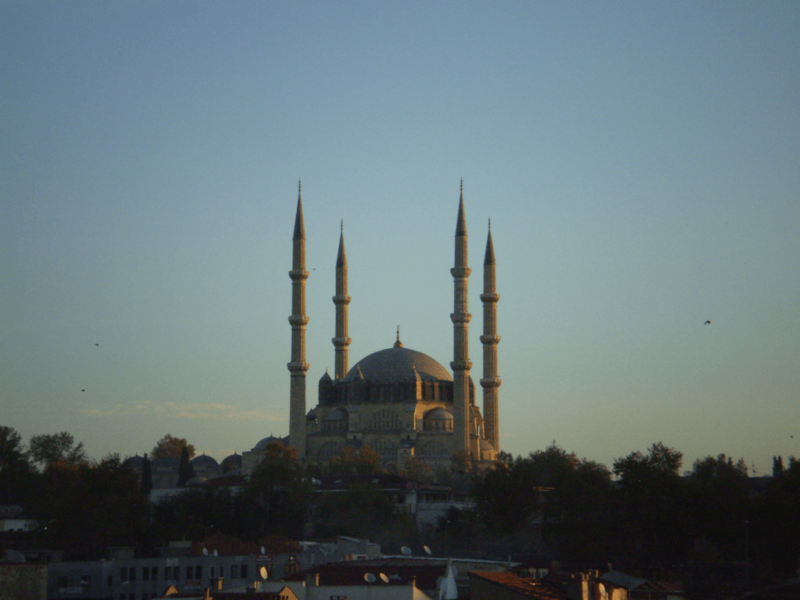 It is worth mentioning that the last two mosques have also been designed and built by Sinan. In the Blue Mosque, also in Istanbul, the following verse embellishes one of the mosque’s main pillars: “It is Allah Who erected the heavens without pillars that you (can) see; then He established Himself above the Throne…” (al-Ra’d, 2). In most Muslim dwellings, furthermore, the substance of the calligraphic decorative styles, by and large, implies, and thus reminds the people of, the true Islamic creed, their mission on earth, their relationship with God, nature and people, and their responsibilities toward different aspects of creation. Hence, the Qur’anic chapters and verses that feature most prominently in Muslim dwellings are: Surah Ya Sin, which signifies the heart of the Noble Qur’an; the Ayah al-Kursi (the Verse of the Throne) which is the greatest Qur’anic verse; Surah al-Ikhlas for which Prophet Muhammad (pbuh) has said that it is equivalent to a third of the Noble Qur’an; Surah al-Falaq and Surah an-Nas which have been revealed in order that believers be protected against all forms of illness and evil by trusting in God and by seeking refuge in Him. Many calligraphic decorative inscriptions found in Muslim dwellings are inspirational and motivating in nature, containing glad tidings for those who commit themselves to just causes. As a result of such a powerful religious consciousness and zeal, Muslims developed in the field of architecture a culture of covering all surfaces with certain designs aimed at drawing the attention from the upshots of human endeavors to a higher order of expression and meaning. The Muslim builder, thus, intends to humbly demonstrate that they harbor no might, defiance or self assertion when it comes to appropriating of and acting in space that does not belong to them; it belongs to God the Almighty, the rightful Owner of all creation. The Muslim builder, furthermore, tends thus to depict themselves — as do the users of buildings — as a servant rather than a ‘master’, as a trustee rather than an owner, and, last but not least, as a modest mortal rather than a pretentious ‘creator’. 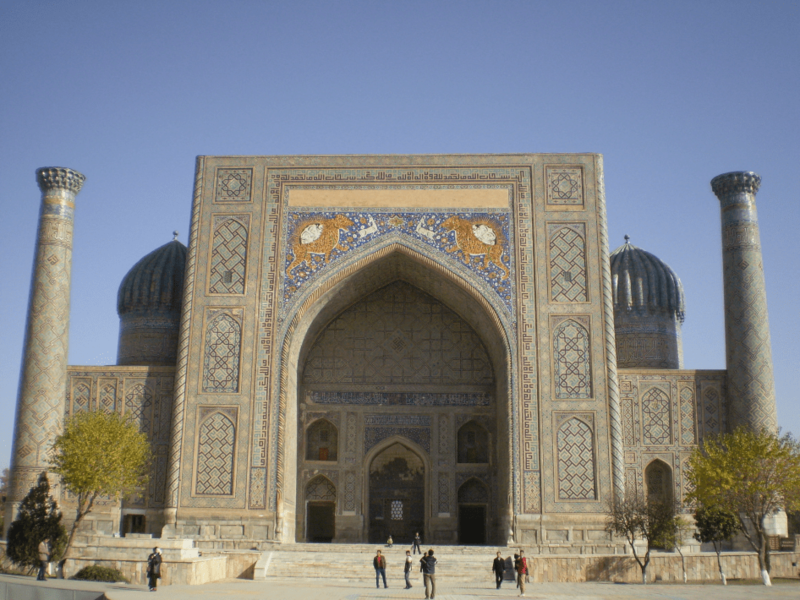 Figure 7: Sherdar Madrasah or School in Samarkand, Uzbekistan. The Madrasah is utterly decorated with various decorative themes and styles. 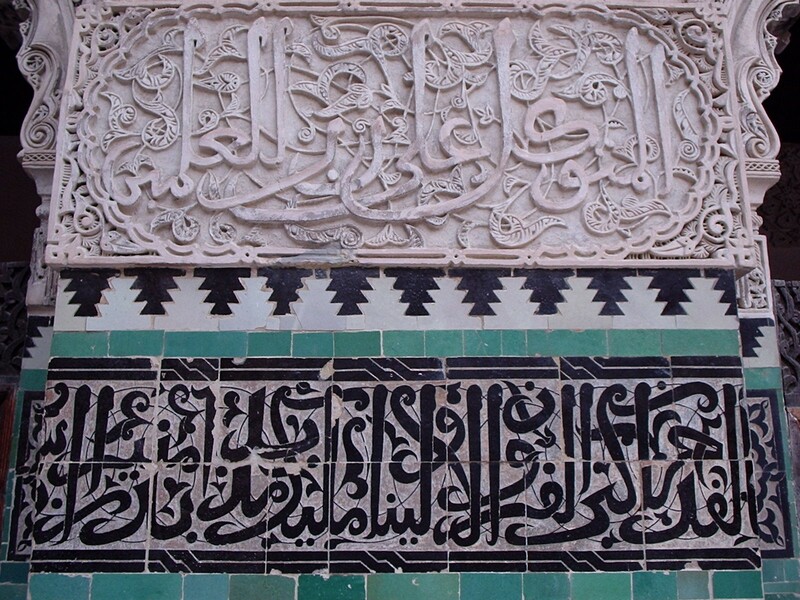 Figure 8: Two calligraphic inscriptions in contrasting styles on the façade of Bouinania Madrasah or School in Fez, Morocco. Figure 9: A number of decorative motifs adorn the interior of a dome that crowns a pavilion next to al-Suhaymi House in Cairo, Egypt. 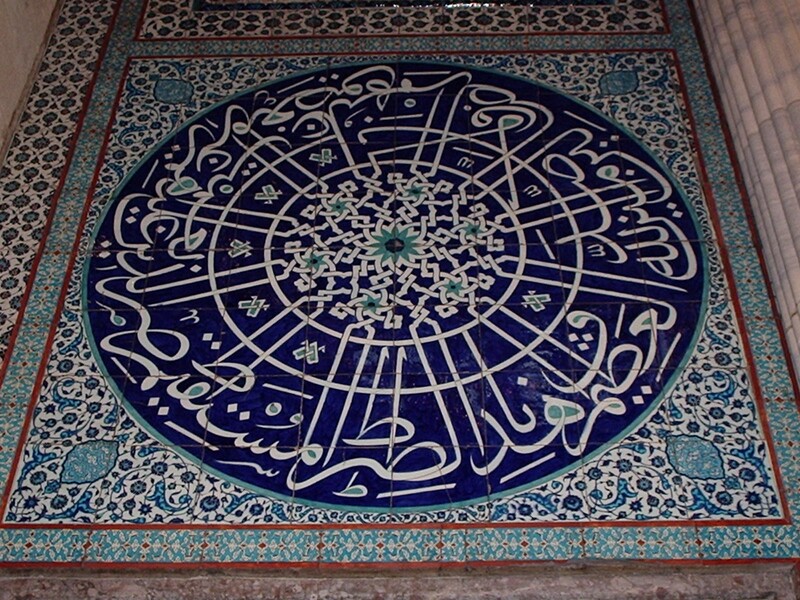 Figure 10: Calligraphy and arabesque in tile-work in the Mosque of Mehmet Pasha Sokullu in Istanbul, Turkey. 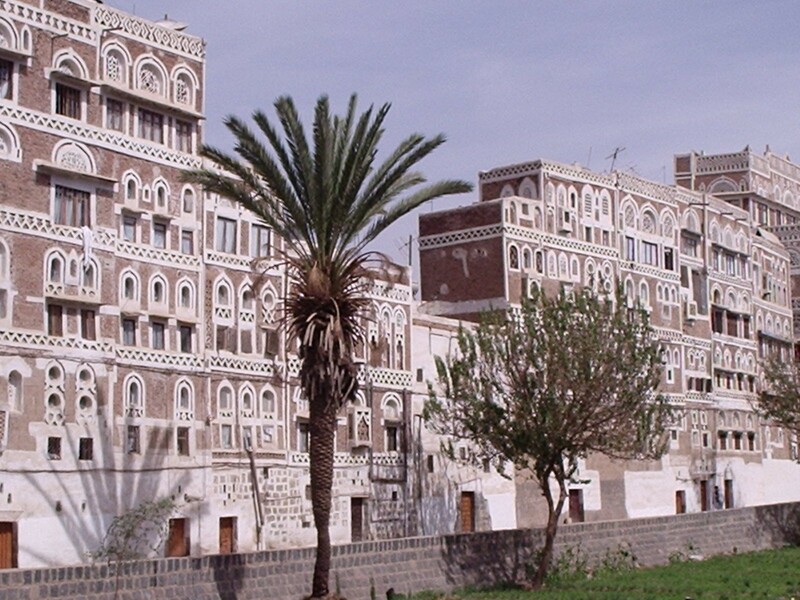 Figure 11: Richly decorated houses in Sana’a, Yemen. In terms of decoration, virtually all buildings in much of Yemen: private or public, religious or worldly, receive the same treatment, with minor contextual and typological variations. The concept of God as the only Creator represents the core of the Islamic doctrine of tawhid. Tawhid means asserting the unity or oneness of God. Tawhid is the Islamic concept of monotheism. The word tawhid is derived from the words wahid and ahad which mean ‘one’, ‘unique’ and ‘peerless’. Based on the concept of tawhid, Muslims believe that God cannot be held equal in any way or degree to any other being or concept. Maintaining that there is no god except Allah and that there is nothing comparable to Him constitutes the essence of tawhid and the essence of Islam. Thus, declaring God’s oneness, tawhid, together with Prophet Muhammad’s prophethood (shahadah), is the first requirement for one who wishes to embrace the Islamic religion. According to tawhid, there is only one Lord for all the universe, Who is its Creator, Organizer, Planner, Sustainer and Giver of security. He is the only Creator, the rest is His creation. He is the only Master, the rest are His servants. Nothing from His World can be a quality of the created world, and nothing from the created world can be ascribed to His World. Similarities that exist between the two realms, the divine and earthly, do not exceed the level of sheer names. Beyond that nothing is the same. There can never be an exchange in the arrangement of designations between the two dominions: that of the Creator and that of His creation. Since the Creator and Master of the world remains as such forever, the servants, too, remain what they are forever. Since the Creator and Sustainer remains as such forever providing the everlasting source of all that exist, the creatures, too, remain forever mortal, recipients of and completely dependent on divine material and spiritual provisions. In all their undertakings, it stands to reason, people’s primary mission should always be to acknowledge this undeniable truth, unselfishly exhibit its effects and try to integrate it into each and every aspect of their cultural and civilizational accomplishments. People are never to get carried away by their ostensible earthly achievements and, as a result, rebel against the established spiritual paradigms in life and then attempt to modify or manipulate them. People’s earthly achievements ought always to reflect God’s greatness as opposed to man’s smallness, God’s self-sufficiency as opposed to man’s lack of it, God’s infinity and permanence as opposed to man’s wavering and insecurity, God’s supremacy as opposed to man’s fragility. Any other approach would signify a sheer falsehood, deception and fictitious optimism. The implications of the idea of God as the sole Creator – and indeed of the whole tenet of tawhid — for Islamic architecture are at once conceptual and applied. Such is its influence in magnitude as well as depth that it gives Islamic architecture – and indeed the entire world of Islamic civilization — its identity impressing it by its own mould. It binds all its constituents together and thus makes of them an integral, organic body (al-Faruqi, 1995; Izetbegovic, 1990; Asad, 2000; Nasr, 1987). The idea of God as the sole Creator gives Islamic architecture its conspicuous identity. It also creates in Muslims an unprecedented tawhidic outlook on building activities so that there exists the highest level of compatibility between buildings and their users. It ensures that Islamic architecture and Muslims forge a productive and peaceful alliance. They all originated from the same source and serve the same ontological purpose. The character of Islamic architecture, consequently, is such that it tries its best to disguise its mundane naturalistic factors and features that may hinder a beholder’s focus, pointing in turn to a higher order of expression and meaning. The beholder’s attention is directed towards the desired end, by various ingenious artistic and structural ways and methods which are meant to yield an intuition of the real essence of the Transcendent and its divine infinity and perfection. Just like the universal religion of Islam whose source is the only Creator and Lord of the universe and all people, Islamic architecture, too, is a universal and enduring phenomenon. It is not confined to an ethnic group, historic episode or a geographical region. It is not governed by a restricted perception or an outlook, nor is it locked up in a style and a set of rigid methods and techniques. Islamic architecture is fluid, flexible and open to all peoples to enrich its infinite orb through their various styles, methods and techniques, and then, together, to wallow in its spiritual grandeur and enjoy its manifold benefits and advantages. Islamic architecture is a global phenomenon with an outlook that not only makes use of, but also transcends, the experiences and ideas of this world. It is a phenomenon with a universal appeal and meaning. It is a product of interplay between the absolute, or permanent, and the relative, or transient, realities, i.e., between the Islamic principles and beliefs that give Islamic architecture its quintessence, and those temporal elements and constituents that give it its ephemeral form. Islamic architecture is a symbiosis between a global religion and life in its totality. It is a union between the material and spiritual spheres, and between the heavens and the earth. Islamic architecture cherishes its perpetual heavenly spirit and identity, never compromising them. At the same time, however, it is ever ready to welcome any contribution by anyone — even non-Muslims — so that the former is made even more conspicuous and exalted, and its impact further augmented. Admittedly, when planning, designing, building and interacting with Islamic architecture, a person — be he an Islamic architecture professional or an ordinary user — seldom has full appreciation of the meanings and relationships explained above. However, this assertion does not diminish or impinge on the validity of our interpretations because such is the sway of Islamic monotheism (tawhid) over the lives of its followers that in many daily worldly affairs of theirs Islamic principles, norms and ethics are followed spontaneously and unconsciously with not much of, or without any, prior planning or arrangement whatsoever. It is a Muslim’s cultivated and refined inner self, psyche and strong character that preside over the recurring daily deeds, not directly associated with sheer religious obligations, and it is this strong insight which guides a Muslim to appreciate the oozing sense and soul of Islamic architecture. How is this possible? It is true that the reward of deeds depends upon intention and every person will procure the reward only according to what they have intended (Sahih al-Bukhari, Hadith No.1). Nonetheless, the depository of intentions is the heart. In other words, human intentions are rather the state of the heart where human actions are decided and orchestrated. To the same depository, psychological effects of an action return in the form of contentment, if an action was a good one, or discontent and unease if the opposite was the case. It is the heart that holds sway over actual human intents, cravings and outlook. A heart will yearn for goodness in every situation and at every moment, triggering the bodily limbs and parts to do the same, if goodness is its only obsession. Likewise, a heart will pay no heed to goodness, causing bodily limbs and parts to follow suit if goodness lies low in the hierarchy of its concerns. Surely, most people are not truly aware of these inner processes transpiring inside them when doing a deed. Sometimes, they verify them by verbal intentions and sometimes they do not, the latter condition not impinging on the validity of a deed. The process is too prompt and our actions and thoughts too many and too frequent that verifying them all by a verbal intention is unfeasible. Some scholars hold the view that uttering intentions by tongue is not really necessary. Executing an intention, or endorsing a deed by the heart from where all deeds originate is sufficient. So if there is any discrepancy between what is uttered and what lies in one’s heart, the latter takes precedence over the former and thus, invalidating it. Also, if a deed has been executed according to an intention merely on the tongue contradicting the heart, such a deed is automatically rendered null and void. It is due to this that Islamic architecture cannot be extricated from the compelling realities of both life and Islam as a total way of life and be treated in isolation. Islamic architecture is Islam manifested. Islamic architecture, Islam and Muslims are inseparable at every plane of existence. As described by Stefano Bianca (2000), Islamic architecture is “the haven where man’s spirit, soul and body find refuge and shelter.” It powerfully and profoundly influences the physical, spiritual and emotional wellbeing of people. Thus, in Islamic architecture the emotional, spiritual and physical dimensions of people’s lives are intertwined. Accordingly, when such bonds are broken, the whole of Islamic architecture comes to an end. Abul Qassim, Muhammad. (1975). The Ethics of al-Ghazali. Kuala Lumpur: Central Printing Sendirian Berhad. Ali, Abdullah Yusuf. (1989). The Holy Qur’an, English Translation of the Meanings and Commentary. Madinah: King Fahd Holy Qur’an Printing Complex. Asad, Muhammad. (1980). The Message of the Qur’an. Gibraltar: Dar al-Andalus. Asad, Muhammad. (2000). This Law of Ours, and Other Essays. Kuala Lumpur: Islamic Book Trust. Al-Bayhaqi, Abu Bakr. (2004). Al-Asma’ wa al-Sifat. Mansurah: Dar Ibn Rajab. Bayrak, Tosun. (2006). The Name and the Named. Louisville: Fons Vitae. Bianca, Stefano. (2000). Urban Form in the Arab World. London: Thames and Hudson. Al-Faruqi, Isma’il. (1981). Islam and Architecture. Inside: Fine Arts in Islamic Civilization. Edited by M.A.J. Beg. Kuala Lumpur: The University of Malaya Press. Al-Faruqi, Lois Lamya. (1985). Islam and Art. Islamabad: National Hijra Council. Al-Hathloul, Saleh. (1996). The Arab-Muslim City. Riyadh: Dar al-Sahan. Hillenbrand, Robert. (1994). Islamic Architecture. Edinburgh: Edinburgh University Press. Ibn Khaldun, Abd al-Rahman. (1987). The Muqaddimah. Translated from the Arabic by Franz Rosenthal. London: Rotledge and Kegan Paul. Izetbegovic, Alija. (1990). Islam between East and West. Indianapolis: American Trust Publications. Moustapha, Ahmad, Farid. (1986). Islamic Values in Contemporary Urbanism. Melbourne: The First Australian International Islamic Conference organized by the Islamic Society of Melbourne Eastern Region. Nasr, Seyyed Hossein. (1987). Islamic Art and Spirituality. Albany: State University of New York Press. Nasr, Seyyed Hossein. (1987). Science and Civilization in Islam. Cambridge: Islamic Texts Society. Al-Oadah, Salman. (2011). In the Company of God. n.pp. : IslamToday. Omer, Spahic. (2009). Islamic Architecture: Its Philosophy, Spiritual Significance and Some Early Developments. Kuala Lumpur: International Islamic University Malaysia. Al-Sabuni, Muhammad. (1981). Mukhtasar Tafsir Ibn Kathir. Beirut: Dar al-Qur’an al-Karim. Sinan’s Autobiographies, Five Sixteenth-Century Texts. (2006). Introductory notes, critical editions and translations by Howard Crane and Esra Akin. Edited by Gulru Necipoglu. Leiden: Koninklijke Brill NV. Taqi-ud-Din, Muhammad & Muhsin, Muhammad, Khan. (1998). Translation of the Meanings of the Noble Qur’an in the English Language. Riyadh: Darussalam Publishers.